It's not just steam locos that are decorated. DF8B 5288 carries a large brass hammer and sickle emblem on the nose. 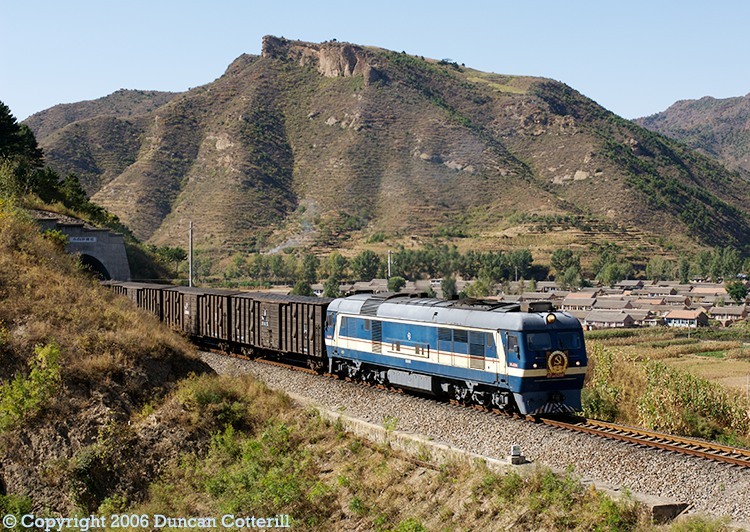 It was photographed on a Longhua bound goods west of Erdaogoumen on 28 September 2006.